Burning the Audio files to DVD is always an excellent idea to create a backup of the files. Using steadfast software which is capable of burning the files is also important for the burning. That's why in the article we are introducing the users to some best DVD audio burning software that would allow the users to keep their audio files safe in DVDs. Step 1. Download the software from the website and install it on your computer. When the software is installed launch it and its homepage will open up. Select the Data Disc option from the list and get to the next step. Step 2. In the next screen, you will be directed to a screen where you can add the audio files to the software’s interface. You can add multiple files at once and other files too if you want to. Step 3. Once you have added all the files that you want to burn, give a label to the disc and select the burner that you want to use. The storage capacity of the disc is also shown at the bottom of the screen, if there is some space left then you can still add files to the disc. Finally, tap on the Burn option and the files will be burned to the disc very quickly. You will get notified when the file burning process is complete. 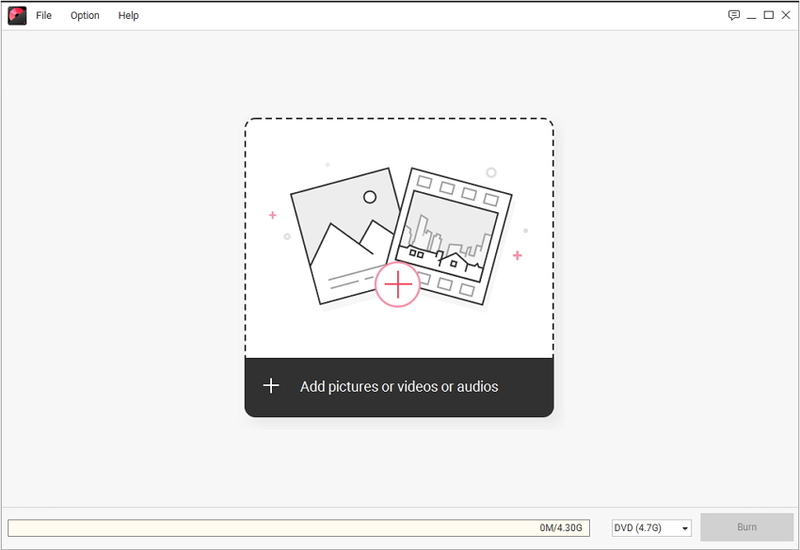 The best thing about the Wondershare DVD Creator is that it can burn all the files altogether at a very fast rate and without losing the original quality of the files. The ImgBurn is very popular DVD audio burning software which can also help the users to burn other files to data disc. This program is very effective when it comes to burning multiple audio files to a data disc simultaneously. The software offers a very powerful way to burn the files and is also very fast. 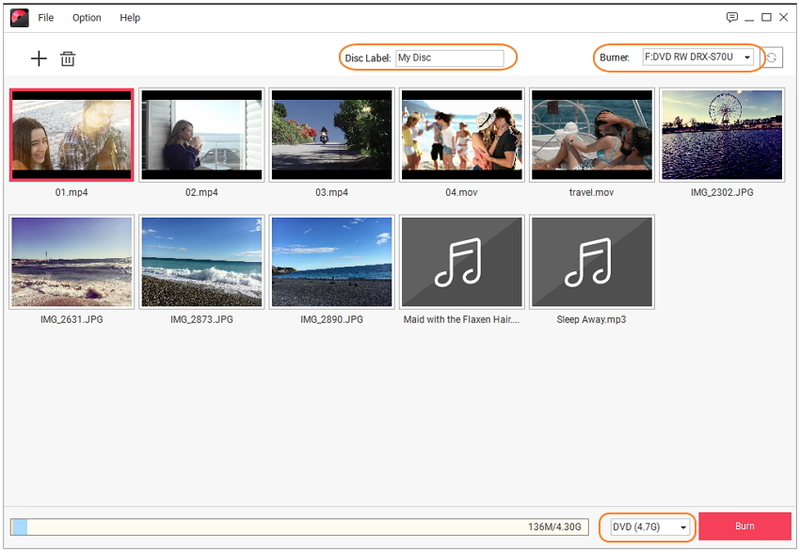 The ImgBurn application is that which can burn the files to a CD, DVD, HD-DVD and Blu-ray disc without any difficulty. The various Audio formats supported by the software include AAC, FLAC, APE, M4A, WMV, WMA, WV, MP3, OGG, and some others too. 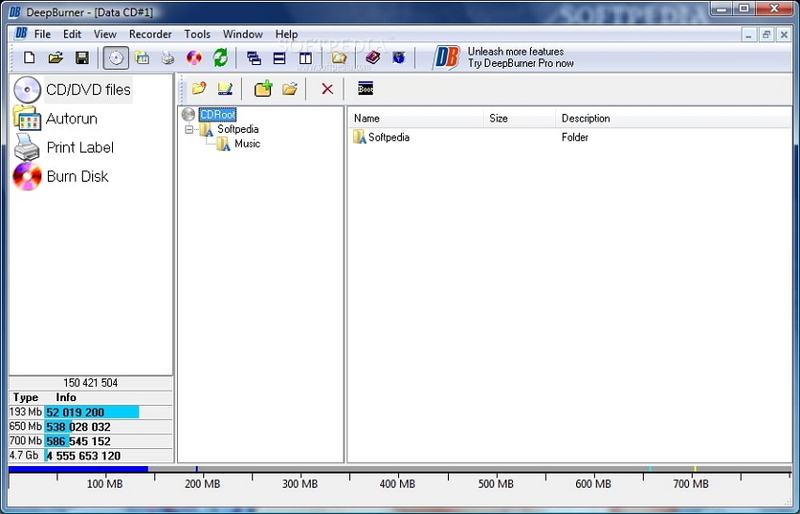 It uses a DirectShow/ACM application to burn the Audio files. It is fully compatible with Windows OS and even supports the old Windows versions. The software is also compatible with Linux and UNIX systems. It is a very flexible software that consists of many features that are often absent from many burning softwares. The software has loads of optical disc burning features. •	The format support is very vast. •	It can also burn Blu-ray disc. •	The Software is not available for Mac users. •	It has many complex options that are often hard to be understood by nontechnical people. The CDBurnerXP is the Audio DVD burner available free of cost. Unlike its name which only has CD in it, the software can burn files to different kinds of data disc efficiently. It has a full support for a disc such as CDs, DVDs and also for the Blu-ray discs. It can burn multiple audio files to the disc at once. The size of the disc is the thing that is limited because the capability of the software is unlimited. Apart from the audio burning, it can also perform other operations. It can also burn and create ISO files. The software has no restriction over its use and is available for the big multinational companies at free of cost. The software also has a verification process that ensures that the audio files or any other files is burnt without errors and can be used properly. The CDBurnerXP is mainly developed for Windows users and has support even for the oldest version of Windows. •	The software can also be run using the Command line. •	It has a Multilanguage support for the international users. •	The software can also be updated online for free. •	The main drawback of the software is that it requires.Net framework to run. 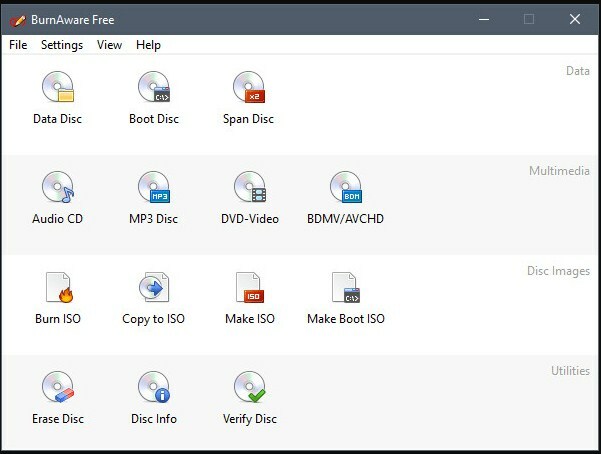 The BurnAware Free as the name already signifies is a free audio DVD creator that offers various solutions for the user’s disc burning needs and requirements. The users can easily burn the bootable disc, audio CDs, video DVDs, multisession discs, and images with high quality. The software has an All-Media Storage support which means it can be used to burn all kinds of data files to the discs. It is very commonly used for burning the Audio files to DVD, and another disc. But its use is not only limited to that. It also covers up tasks like verification, copying, erasing, image creation, data recovery and especially audio track extraction. The software has three editions to provide unlimited features and functionalities to the users. Every edition has its own specialty but they come with a price. The software has a very straightforward interface which can be operated by a beginner. You just have to follow some basic steps you will be able to burn all your files to a disc whose backup you want to create. •	The software has a very simple an easy to use interface. •	The burning process is also fast. •	Customization and compression is not available. •	There is a limit on making the copies of the same file. The DeepBurner is an Audio DVD creator freeware which has a very traditional interface. The freeware version is simply a cut down of the original software and offers many features of the paid version. Although the software has some restriction over the video DVD creator it can create an audio DVD without any complications. The software can perform all the tasks related to the audio files. It can burn data CDs, DVDs, audio CDs and also bootable discs. This software will provide you the basic functions that are required to burn Audio files to a DVD. The software is available for the users with a trial version that would give you a complete access to all the features offered by it. But if you only want to burn the audio files, then there is no need to consider the paid software. You will be able to create the Audio DVD with simple software without any extra requirement. •	The software has a 30-day trial version. •	The DeepBurner is portable software. •	It can efficiently create a backup DVD. •	The free version is lacking many features of the original software. The Express Burn is a tool which is designed for everyone. It is provided to the users for free but for non-commercial use. The software has a very fast speed and a user-friendly interface that makes it super easy for the user to understand the working. This Audio DVD burner freeware allows the users to record the audio files with direct digital recording to maintain the quality of the audio files. The software has a wide array of format support for audio files and can create MP3 CDs and audio CDs even for the old CD players. The supported formats list include all the latest and old audio formats such as mp3, wav, wma, ogg, flac, and more. It also provides an option to burn the audio in a sequence and to put a customized pause in between the tracks. Other than the Audio files burning it can also perform many other functions. The Express Burn has a fully automated and integrated system. It can also be run using the Command line as it has CMD integration. The software is specially designed to make the disc burning process easy for all the users. The Ashampoo encompasses all the advantages of its predecessor and adds up a lot of features to enhance its functionality. The developers have designed this software in such a way that it provides the advanced features with simplicity. 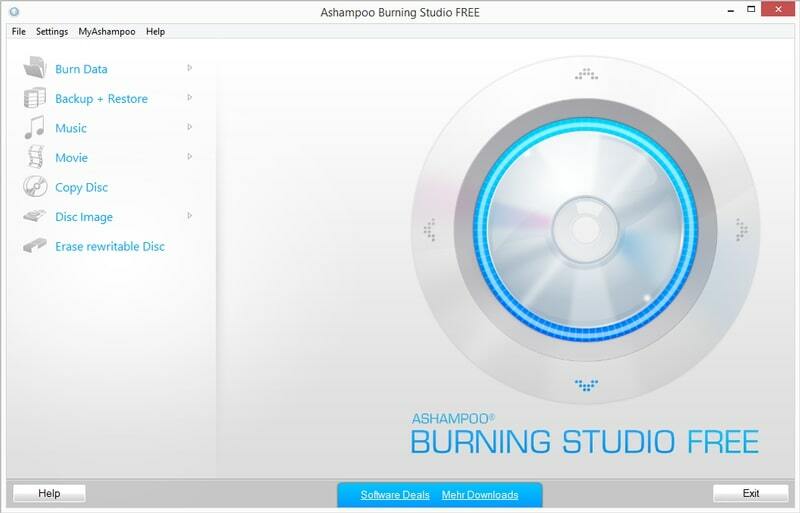 The Ashampoo Burning Studio is the answer to the feedback that was given about the previous software and hence it is made more efficient to fulfill then burning requirements of the users. •	The software is also a complete backup tool. •	It is very powerful and efficient. •	It can burn the audio files without losing the quality. •	The software’s free version requires you to get the license of the software to use it. •	It is the basic features that are easy to use. Along with the above-mentioned utility tools, there is two more software present over the internet which will to the Audio burning task for the users. The Nero DVD Burner is also commonly called just Nero might be the best audio DVD creator. 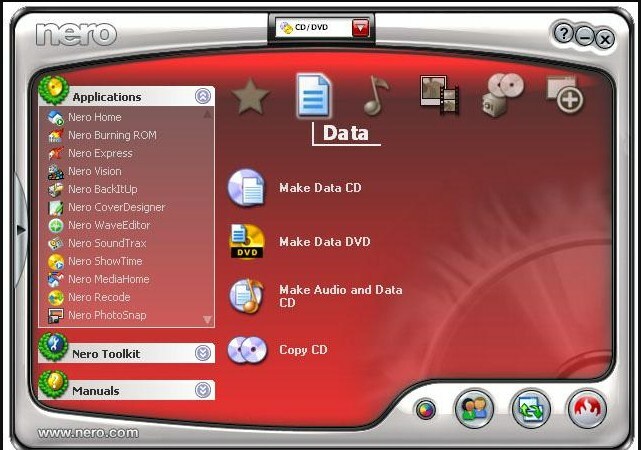 The software is a part of the Multimedia Suite developed by Nero. It is a complete optical disc authoring program that can be used for burning and copying the data files to optical discs such as CDs, DVDs, and Blu-ray DVDs. The software has a special label printing technology stated as LightScribe and LabelFlash. Both of these technologies can be effectively used to convert one audio format to another. The software is only available for Windows users. There was a time when a Linux version was also available but it was discontinued due to some reasons. The latest version of the software comes with and AirBurn feature that allows the users to burn media files directly from the cell phone. •	The software supports various media formats for burning. •	It also has a feature of connecting to the online music database. •	The software is super advanced and hence requires a lot of time to be understood properly. 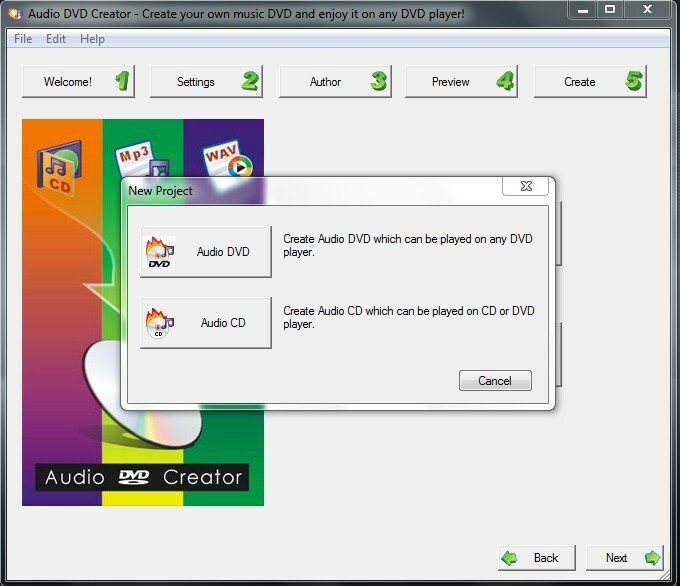 The Audio DVD Creator is a utility tool that completely changes the way that is used by people to listen to music files. This DVD audio burning software is specially designed to create a revolution in the traditional way of listening to music. The users can freely create DVD disc from simple audio CDs and can play it on the DVD player. The software is only compatible with Windows but is still very popular. It has only the audio compliance features and therefore termed as one of the topmost choices for burning audio files to a DVD. •	The software can convert the format of audio files to make it DVD player compliant while burning. •	It can also rip the audio files without any quality loss. •	Only available for Windows OS. As we have read a complete list of software that is both reliable and can effectively burn the Audio files to DVD. It may seem that the above-listed DVD audio authoring software can be quite helpful for the users. But is totally up to you that which software you choose. It is recommended that instead of using software which is specially made for a single purpose, you must opt out for multipurpose software. So, try the Wondershare DVD Creator which undoubtedly the best choice as a multifunctional software.